LAS VEGAS, NV – March 6th, 2014 – Alkame Holdings, Inc. (OTCBB: ALKM) (OTCQB: ALKM), a health and technology holding company with a focus on patentable, innovative, and eco-friendly consumer products, is pleased to announce that the Company has appointed three founding members to a Science and Technology Advisory Group. Tammy Schaible Miller brings over 15 years of science, biology, nutrition, chemistry, sports management, teaching, and coaching experience to the Alkame team. She is a Certified Personal Trainer and has coached collegiate level volleyball for 5 years. In 1997, she received an Associates of Science (AS) degree from Trinidad State Junior College in Colorado. In 2000, Ms. Miller received Bachelor’s Degree in Biology with a minor in Chemistry from Metropolitan State College of Denver. In 2009, she earned a Master’s Degree in Sports Management with an emphasis in coaching. 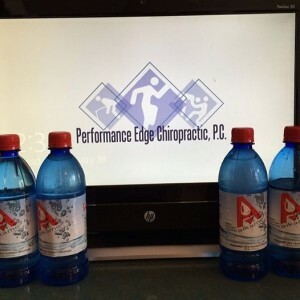 Dr. Pietro Baio is a certified Chiropractor who practices in Brooklyn, New York, where he owns and operates “Performance Edge Chiropractic PC” with a focus on Sport Chiropractic. Dr. Baio’s previous experience as an accomplished high school wrestler and current Japanese jujitsu and kickboxing enthusiast, drives his ongoing passion for sports performance research and advancements. In addition to graduating from New York Chiropractic College (NYCC) in 2006, Dr. Baio also holds both a BS and MA in Exercise Physiology from Adelphi University and is an ACSM Certified Exercise Specialist. While attending NYCC and Adelphi University, Dr. Baio designed, executed, and took part in several research studies at the Human Performance Lab of both schools. His current client list is a who’s who of local professional athletes including some of the area’s best mixed martial artists and professional boxers. Andrea Visak, RDN, CSSD, LDN, is a sports and wellness dietitian and founder of H2O Nutrition, LLC, a San Diego, California based company providing nutrition counseling and education to enhance the performance of competitive and recreational athletes. Andrea is a Registered Dietitian Nutritionist, a Certified Specialist in Sports Dietetics (CSSD), and has served as a leader in enhancing sports and life performance through innovative fueling strategies for over 10 years. Her expertise encompasses sports medical nutrition therapy, disordered eating counseling, weight management, and wellness nutrition for athletes and physically active individuals and groups. Alkame Holdings, Inc. is a publicly traded health and technology holding company with a focus on patentable, innovative, and eco-friendly consumer products. The Company’s wholly-owned subsidiary, Alkame Water, Inc., markets and distributes micro-clustered, alkaline, antioxidant and oxygenated bottled water utilizing an exclusive patented formula and technology. Alkame’s patented technology creates water with several unique properties which allow the body to absorb and utilize it more efficiently and help to achieve an optimal pH balance. The patented Alkame technology also increases the available oxygen content and absorbability which equates to more fuel for improved metabolic efficiency, boosted immune system, and improved cardio respiratory function. Not all waters are created equal™. For more information, visit www.alkamewater.com.